Acupuncture and traditional Chinese medicine is incredibly effective for gynaecological conditions and regulating disorders of the menstrual cycle. In the treatment of female fertility, the primary focus for treatment is in menstruation and ovulation. A variety of gynaecological disorders can cause subfertility or infertility in women that are not recognised in Western medicine. For example, painful periods are a common ailment for many women, but this does not mean however, that it is 'normal' to experience the disorder. In fact, dysmenorrhoea (painful menstruation) is one example of a menstrual disorder that is viewed in TCM as a sign of a much deeper internal syndrome that contributes to a woman's subfertility. It is vital clinical practice in the TCM clinic to achieve healthy menses and ovulation, that is, where both aspects are consistently regular, timely and pain-free; this is of foremost importance. Increasing pollution in our environment has been said to be one major factor why endometriosis has become an increasing disease. Endometrial tissue can locate itself in the pelvic cavity outside of the uterus. If it is found inside the fallopian tubes or around the ovaries it can place a hindrance on conception. The tissue itself can also hinder fertility by attracting macrophage cells sent to clear away foreign material; endometriosis activates these macrophages to work harder and faster which destroy any sperm in the fallopian tubes before it has a chance to meet the egg. Acupuncture and TCM works to break up blood stasis to clear away the excess tissue deposits but to also diagnose and treat the underlying cause of the disease so it does not recur. Fertility thus becomes greatly enhanced once the condition improves. A variety of conditions come under the umbrella of those ovulatory including premature ovulation, delayed ovulation or the inability to ovulate at all. These may be hormonal disorders, egg-developmental problems where the eggs are unable to mature enough to be released effectively, or there may be problems in the functioning of the release of the egg itself due to some obstructive disorder. Inflammation of the reproductive organs, often treated with antobiotics, can also be treated with acupuncture and TCM, be it inflammation of the uterus or the fallopian tube(s). Such disorders can be caused by untreated STDs such as chlamydia or gonorrhoea or prior use of IUDs (intra-uterine devices); it may simply be a manifestation of an underlying deficiency causing a build-up of what TCM refers to as "Dampness" and/or "Heat" in the system, amongst others. Acupuncture can both remove stagnated energy and tonify deficient energy so as to regulate ovulation and uterus motility to facilitate proper, timely, efficient and pain-free bleeding. 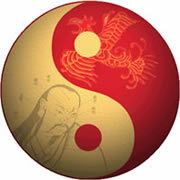 Regulating the period is one of the most fundamentals aspects of treating fertility in TCM. If you are looking to try for a baby and your periods are not consistently regular, timely and pain-free, treatment for regularting the menstrual cycle is the first and foremost aspect that must be addressed. Depending on the case, Chinese herbal medicine may also be adopted as part of the treatment.